The seat pack fairly full. 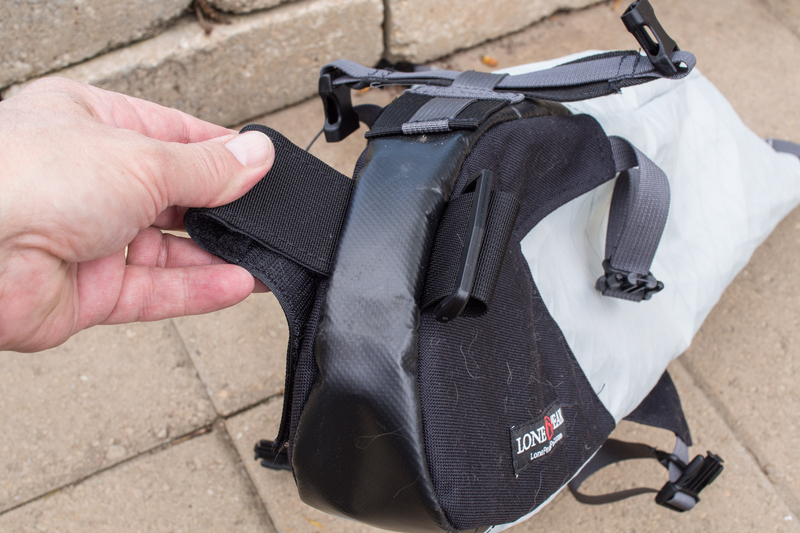 I have been using Lone Peak panniers for years now for road touring. In fact, between my kids and I, we have four sets. They are well made, durable, are made entirely in the U.S.A., and after years of use are hardly worn at all. 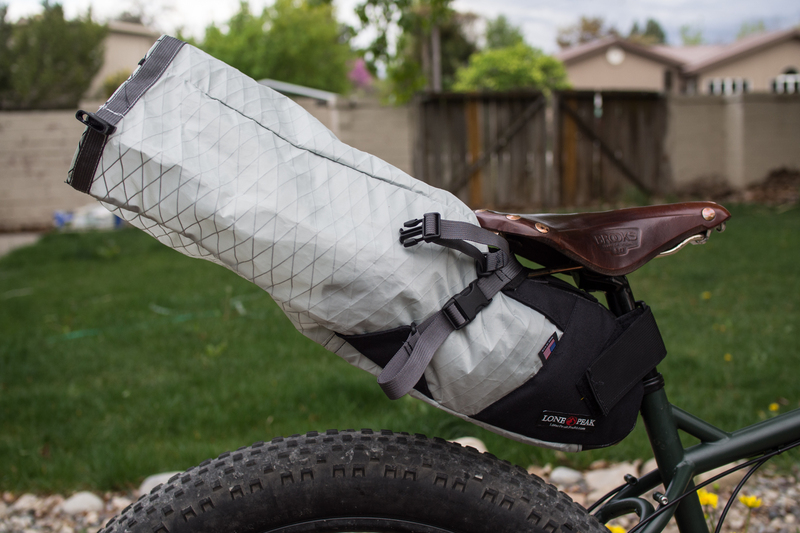 So, when I saw that Lone Peak was making a large seat pack for bikepacking, I thought I would give it a try. In the past, I was convinced that a seat pack wouldn’t work on my medium Pugsley because I have pretty short legs, thus not much seat post and wheel clearance room. But when Bullet bought a large seat pack, I tried it out, and to my surprise it fit, albeit with only about an inch of clearance. 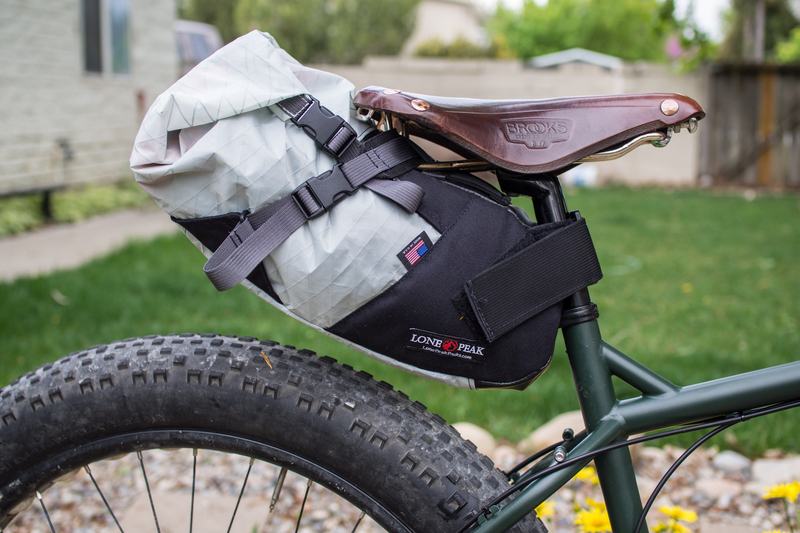 With an upcoming bikepacking trip on Kokopelli’s Trail I really wanted to ditch the rear rack to save some weight, so in comes the Lone Peak Expedition Seat Pack. I have not used it yet, so this is just a quick look at the features. After our Kokopelli’s trip I will do a more detailed review. 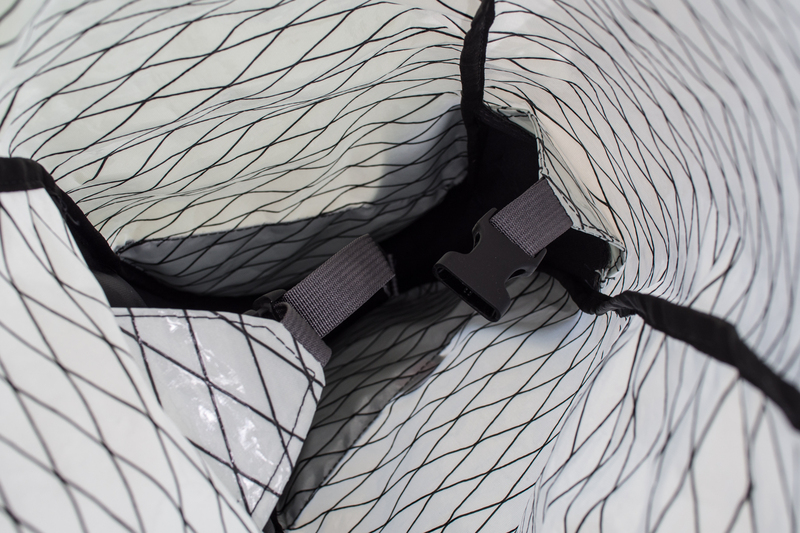 The pack is pretty typical of a large seat pack made by others like Revelate—X-pac nylon, 1000 D nylon, and Coverlight truck tarp in the seat post and seat rail area, roll down dry bag style, fastex buckles, and so on. It fits a surprising amount of gear. 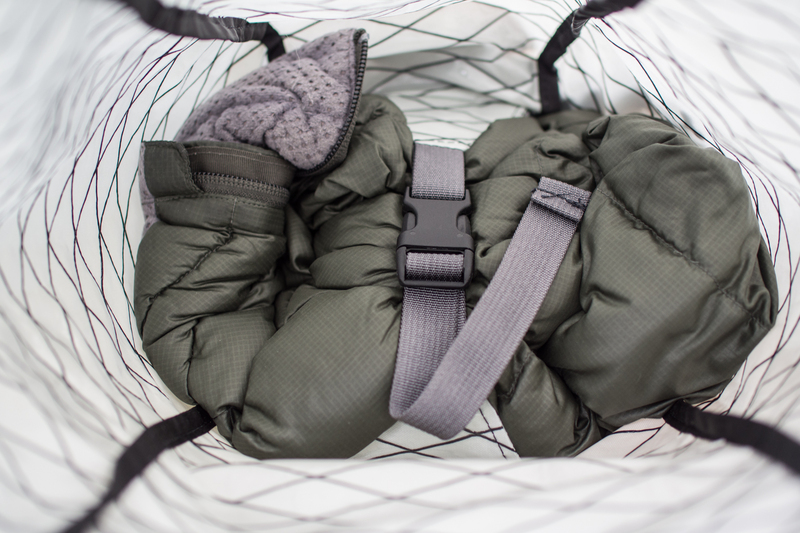 It will easily fit a 3 season down sleeping, lightweight ground cloth, puffy jacket, etc. I plan to keep the weight down on this to less than five pounds, probably more like 3.5 or so. 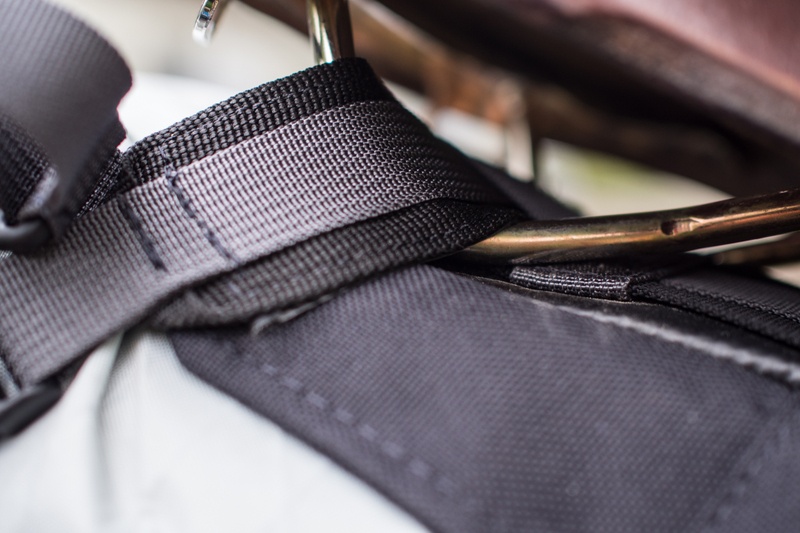 Internal compression strap keeps things from bouncing (I hope). The internal compression strap will keep my Montbell 25 degree down sleeping bag contained, leaving plenty of room for other stuff in the roll down part. 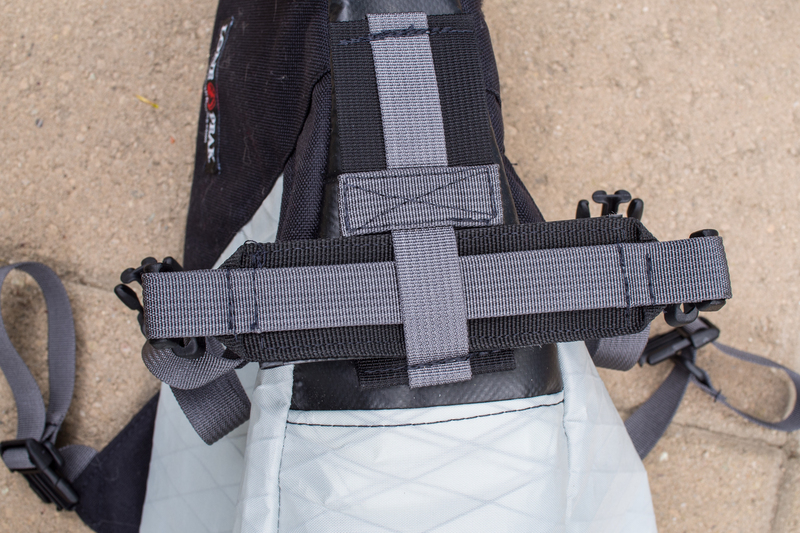 There are two slots for the seat rail straps. In the above photo it is in the slot further away from the seat post. This allows it to fit with a variety of seats. Lined with the trucker’s tarp fabric. And strapped onto the seat. 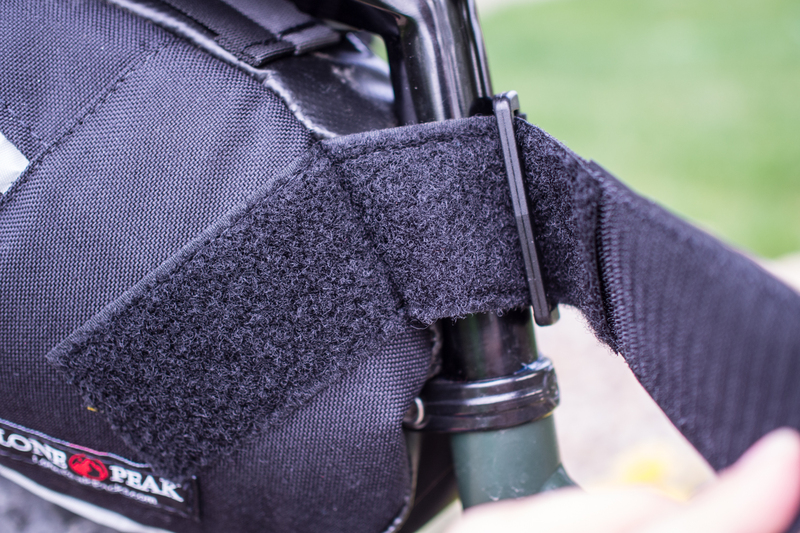 Seat post area lined with trucker’s tarp fabric. 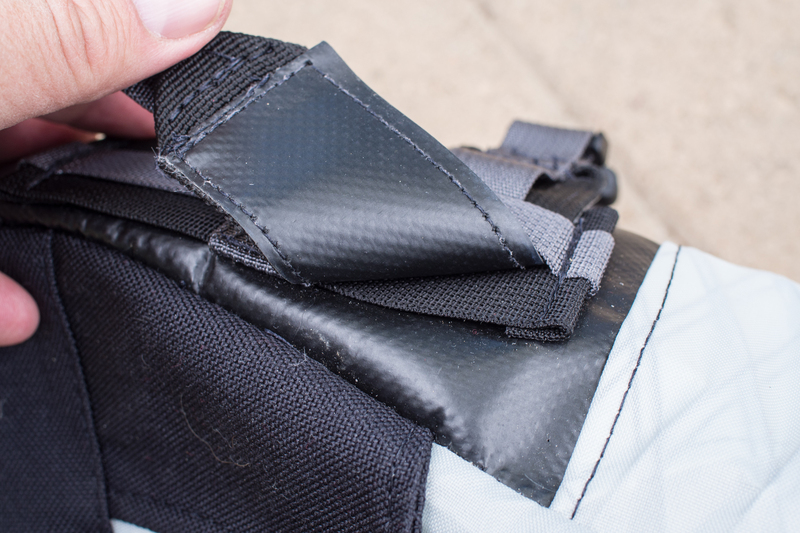 Beefy velcro strap for the seat post. 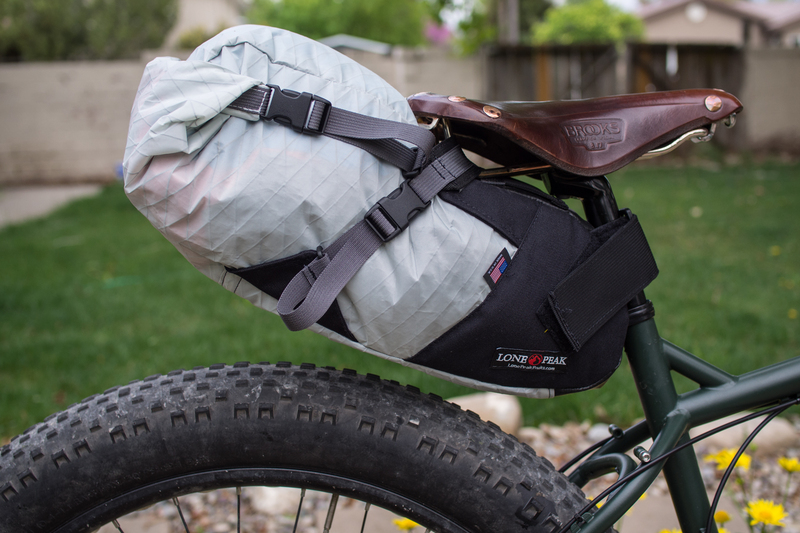 If it’s anything like their panniers, this will be built to last. I’m anxious to put it to a real test on Kokopelli’s Trail next week. Stay tuned for a review of how it actually works in the field. The pack only partially filled and cinched down. It comes in black, white, and red, and I don’t have any affiliation with the company, just like their stuff.